Announcing Flixed 2.0 and Cord-Cutter Express | Ditch Your Cable Subscription. Become a Cord-Cutter Today. Since starting Flixed, we’ve been surprised at how quickly the cord-cutting landscape has developed. There are now over a hundred streaming services in the U.S alone, with more coming every week. An increasingly fragmented market means that cord-cutting is more complicated than ever. A few months ago, we started asking the question – how can we simplify the decision-making process? Until now, we’ve focused on writing articles on everything from streaming service reviews to channel guides. Now, we’re proud to announce the next step in our journey: Flixed 2.0. Flixed 2.0 marks a critical shift in our vision. Before, we were focused on becoming one of the leading blogs for cord-cutting resources. We’ve done that. We now serve hundreds of thousands of unique visitors every month with our cord-cutting guides. Now, we’re broadening the scope of our vision. 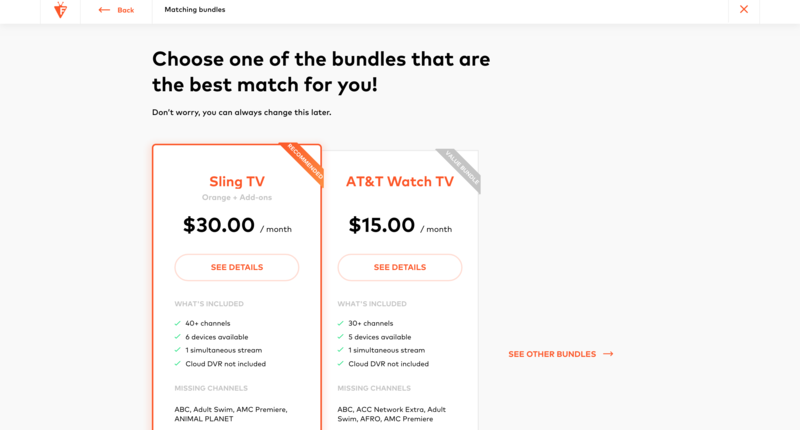 We want to be the interface that transitions people from traditional cable to streaming services. If that means producing a blog post, we’ll do that. If it means producing other types of tools and resources, we’ll do that too. In other words, we want to be the place people come to for all their cord-cutting needs. As our first step towards this vision, we’re proud to announce the launch of Cord-Cutter Express. To start, we’re going to take the hassle out of finding the perfect streaming service. Here’s how it works. You answer four simple questions. Which channels do you want to watch? 2. What devices do you stream on? 3. How many simultaneous streams do you want? 4. Do you want a Cloud DVR? After that, we’ll use our proprietary algorithm to match you to the best option, based on your unique preferences. 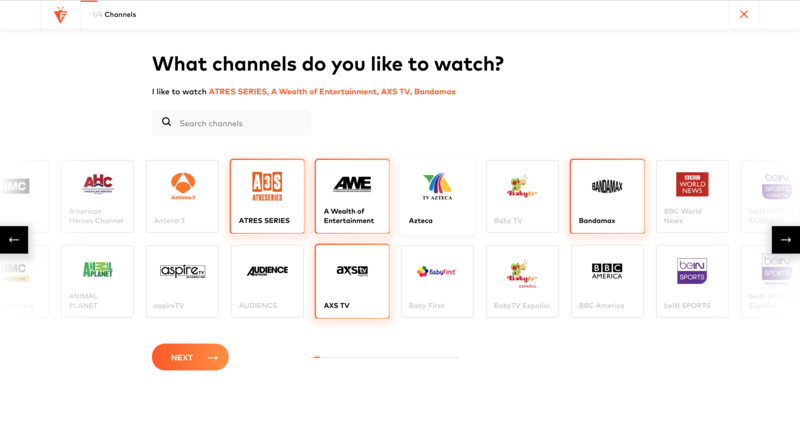 We currently support all major live TV streaming services including Sling TV, DirecTVNow, fuboTV, Hulu Live TV, YouTube TV, Philo and AT&T Watch TV. In the future, we’ll include on-demand services as well. 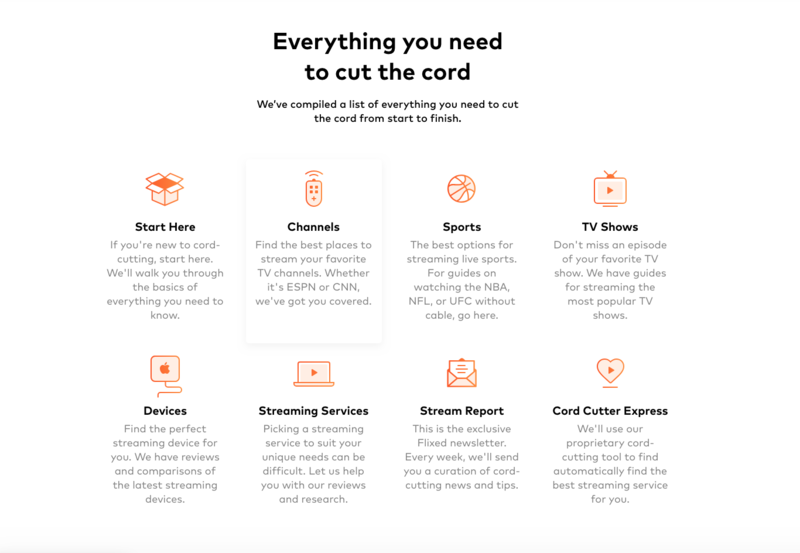 As you’ve probably noticed, Cord-Cutter Express sports a completely revamped design. Our homepage was re-designed as well, to match the same theme and better display the various resources we have on our website. In the coming weeks, we’ll roll out the re-design onto our posts as well.